Do you have proven experience in luxury retail product design? 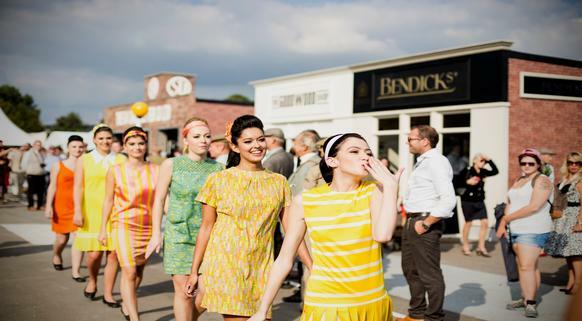 Goodwood are seeking a creative & talented part-time Senior Retail Product Developer to work closely with the Duke of Richmond, the Chief Marketing Officer and the existing retail team on step-changing our product line up as well as our overall retail creative review process. You will elevate our retail offering by creating industry defining designs across our key Events, the 365-days businesses and lifestyle product ranges. Tapping into the Goodwood passions, the you'll drive our unique range of lifestyle products, keeping the Goodwood customer in mind, whilst further developing our overall product line and merchandising. You will be the driving force behind our creative product brand direction, by creating a design strategy to develop new concepts, ranges and product categories. You will also support the continued growth of our commercially successful operation. You will spear head the development of our collections for Festival of Speed, Revival, Qatar Festival, Members' Meeting and our unique Club ranges. This will include extensive research into collection concepts and range plans, whilst understanding seasonal themes, collating mood boards and presenting them to our Key Stakeholders. Please include a portfolio of your previous designs within your CV document in support of your application. If you have a passion for design, apply now!